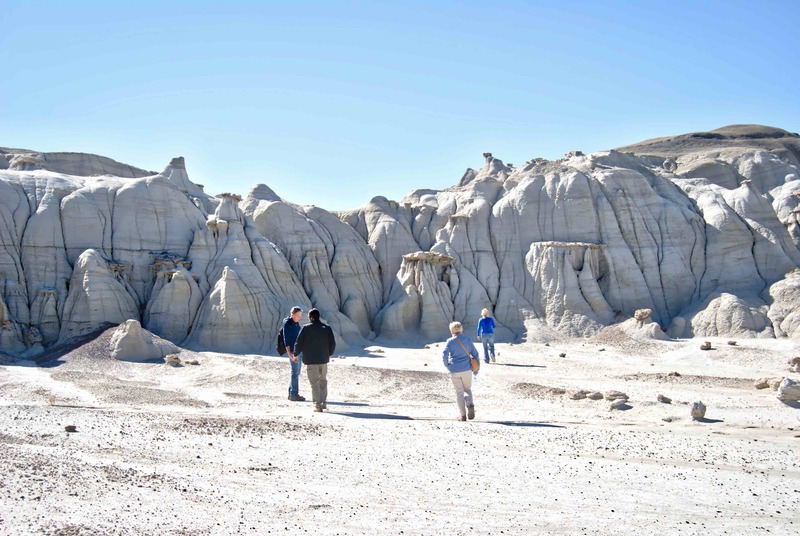 Whether it be your first trip or an annual pilgrimage, preparing for your time in the Bisti/De-Na-Zin Wilderness is always the smart thing to do. I share my checklist of essentials for short hikes into the wilderness. 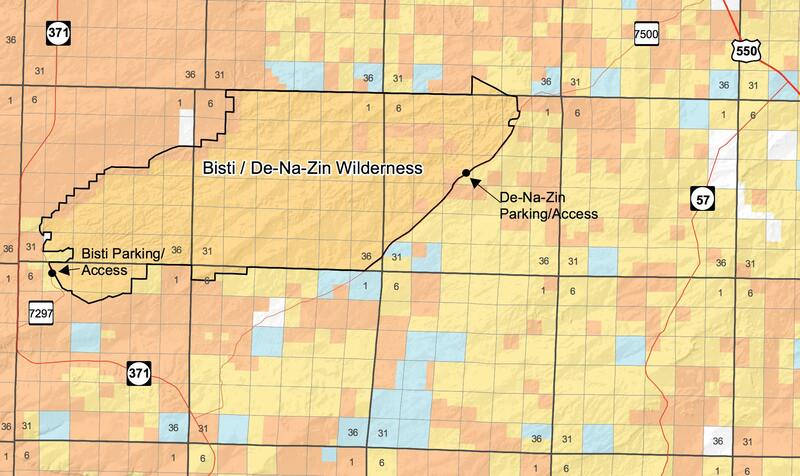 What is the Bisti/De-Na-Zin Wilderness? The wilderness is an ancient river delta that is 167 square kilometers (65 square miles) of badlands. The area is an oblong shaped 27 km (17 miles) x 8 km (5 miles). The elevation varies from 1,645 meters (5,400′) to 2,072 meters (6,800′). The wilderness supports very little vegetation but you do come across high desert grass along the borders and on high buttes. There are the occasional sagebrush and juniper tree in the De-Na-Zin section of the badlands. Spring and summer seasons bring blooming desert flowers in valley floors and between pockets of hills. The wilderness primarily shows the Kirtland/Fruitland layers of sandstone, mudstone, silt, coal, and shale. The area exposes silt & mudstone tables that lay atop buttes, and many have broken into smaller blocks that balance on eroded columns of silt. Many of these fairy chimneys or hoodoos defy gravity and stand a centimeter to over six meters high. These formations bring photographers and outdoor enthusiasts from around the world. There are two primary trailheads we take our travel guests to – the main parking lot also called the south parking lot, and the Bistahi Methodist church parking lot also called the north parking lot. The main parking lot is a gravel lot and has a formal walk-through fence. The north parking lot has a closed fence line, but you can step over it to enter the wilderness. The wilderness has no marked trails. There are three ways to move around the wilderness 1) find a group of people headed to the same location you are 2) use your GPS device to locate the area you want to visit 3) hire a guide. SUBSCRIBE TODAY and receive detailed notes on why I pack these items.